Work on my second novel, The Executioner, in my Thelum Series is still in progress. 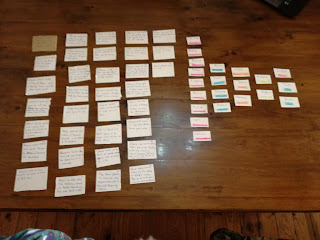 I made a mind map to help me get a grip on the plot. It definitely helped me simplify the story. I’ve also decided to re-brand my Thelum Series. I’ve remade my book cover. It just speaks to me now, and I feel like it is really important that I make the covers myself. I tend to change things up, so now I can fix it if something bothers me, or if I just change my mind. 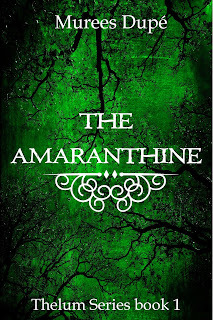 As you can see, I went back to green, which is what the very first book cover was. My chronic pain, which I’ve had for just over three years, has recently been re-diagnosed as Fibromyalgia. I’ve been having more and more symptoms, so that is why a new diagnosis has been given. I also already suffer from not only chronic depression, but also Major Depressive Disorder. The one affects the other, so now I have to work extra hard on my health. My biggest fear is what it means for my future, and how it will impact who I am, and what it will do to my writing. Since December 2017 I have been helping my chef sister start her own business. She bakes from home now, so I help her out, as well as do a lot of her marketing. Everything I’ve learnt from trying to promote my own work has come in handy. I’m putting a lot of my focus on this project, because it has the potential to become a reliable day job. I know especially now, with all my medical bills, that I really need to work. I’ve been really listening to a lot of Joanna Penn’s podcasts to inspire me. I’ve also been learning a lot about the type of writer I really want to be. And how I would prefer to market my writing. I’d rather keep blogging and prove that I’m a real person, than employ all these impersonal marketing techniques. It just isn’t me. I feel like I haven’t been part of the writing community for a long time. I’m so out of touch with everything. Not to mention that I feel so isolated from it all. I miss being able to relate to my fellow writers about how frustrating writing can be, but still so much fun. I just really miss being amongst like-minded creatives. We might all be writers, but we all are still so different, and that is so refreshing. Though we all write, our approaches are different. So, this is where I am at the moment. How are you doing? Hopefully better than me. 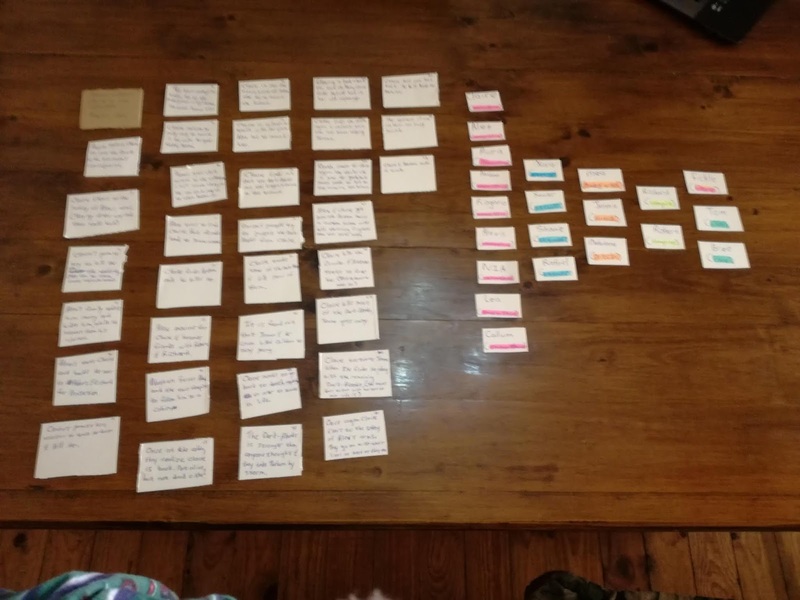 Making a story map really helps me get a handle on the plot, too. I really couldn't write anything without one now. Makes me wonder how I ever thought I could be a pantser. 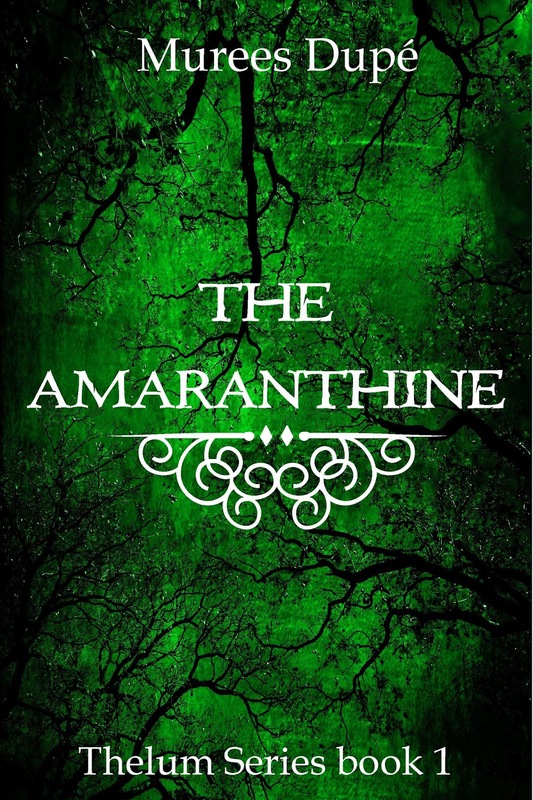 I love the shade of green in your new cover. It looks fantastic with the trees. And I love hearing about other authors' processes, too. It's fascinating all the different approaches we take. Thank you M.J. I love hearing how other readers write and plot too. Your posts always inspire me. How you keep writing no matter how stuck you might feel. Thank you for that. Thank you, Mac. That really means a lot. Love the new cover! And I'm impressed you are able to make your own. I am hopeless in that regard. That green color is gorgeous! I'm sorry you are having such a rough time. But I hope getting the diagnosis helps in regards to treatment and getting some relief from the pain. Take care and know you are always part of this community! Thinking of you and sending many hugs. Thank you, Julie. I just practiced and practiced, and did more research on making covers. Thank you, Carol. I just had to make my own. I kept asking my cover artist to change it and it stressed me out. So I did lots of research and practiced till I got what I wanted.